Experience counts when you are choosing a home roofing contractor, which is why homeowners in the Glen Carbon, Illinois area put their trust in Daech & Bauer Roofing. We’ve completed more than 10,000 projects and counting, and our attention to detail has helped us win the Home Builders Association Remodeler of Distinction award on six occasions. Additionally, if your roof needs to be completely replaced, Daech & Bauer will utilize a complete roofing system to help ensure that your new roof is built to last for many years. This three-part system includes a waterproof barrier to prevent mold growth and rotting, a solid layer of defense against strong winds and flying debris, and optimal attic ventilation to manage temperatures and prevent moisture buildup. 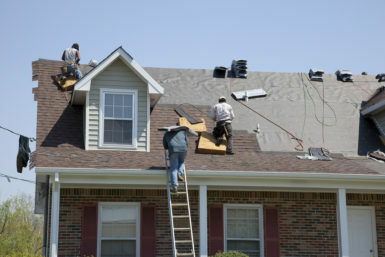 If your home in the Glen Carbon, IL area needs to have its roof repaired or replaced, contact Daech & Bauer Roofing today so we can be the last home roofing contractor you ever need. Be sure to ask about the financing plans featuring low monthly payments that we offer for those who qualify.